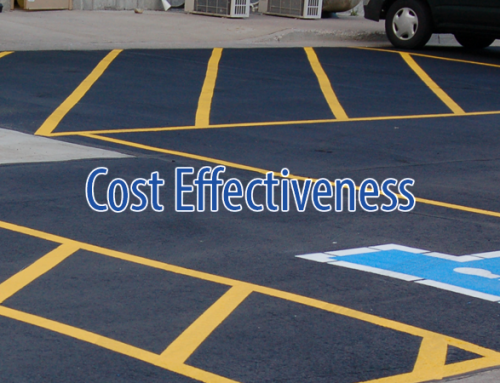 If your asphalt pavement has recently had sealcoat applied, you’re clearly already committed to maintaining and preserving your investment, but how can you ensure that you get the maximum benefit from your maintenance efforts? The guidelines below will help you keep your new seal coat in great shape so it can keep your asphalt looking new for years to come. 1. Stay off the asphalt surface for several hours. When new seal coat is a flat black color, it’s dry. If it’s still shiny, you can pat it with a paper towel. When the towel stays clean, the sealcoat is dry. If it picks up any residue, wait a few hours and retest with a new paper towel. 3. Keep your sprinklers off for at least 24 hours. 1. Don’t use heavy equipment or do construction projects on the asphalt pavement. 2. Don’t use heavy or aggressive metal equipment for snow removal. Properly adjusted rubber snowplow blades typically do a great job without damaging the asphalt or sealcoat. 3. Keep the pavement clean and free of dirt and gravel. Dirt and gravel acts like sandpaper on your sealcoat and causes it to wear much more quickly. 4. Ensure that the pavement has adequate drainage to keep water from pooling on the surface. 5. Use drip pans or trays to prevent fluids and chemicals from vehicles from contacting asphalt surface. 6. Avoid exposing the asphalt to excessive heat from engines or fires. When you have new asphalt installed, you’ll want to have it seal coated within the first year. 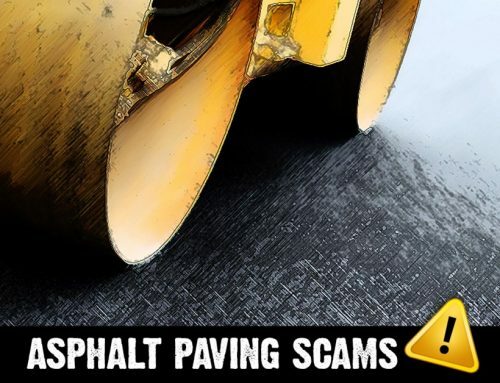 After that, most asphalt pavements need a new seal coat application about every two to three years, or when the majority of the previous sealcoat has worn off. 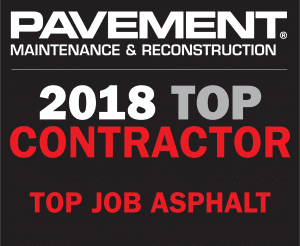 If you need help with your asphalt paving or maintenance projects, Top Job Asphalt can help! Contact us for a free, no obligation estimate!